Tibet Plateau in mountain system is becoming one of the focuses of global technique research, because its crust is marvelous thick, which is twice of the normal thickness of mountain system in lithosphere, and its rapid raise from the Quaternary. By using a finite element analysis software ABAQUS, the numeric analysis has been carried out and presented in this paper for the lithosphere stress field. It is the first time to use the displacement loading in the simulation of Tibet Plateau. During the analysis, the deformed elements are used to simulate the structure band, and friction mechanism is used to model the fracture band. The boundary conditions are given according to the boundary displacements around the Plateau. The stress and displacement distributions are obtained for the geological evolution of the plateau, which are consistent with P axial orientations of the seismic origin mechanism and the measures principle stress orientations. 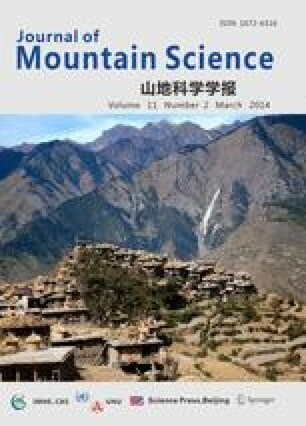 The analysis is also given for the dynamic lithosphere evolution of the Mountain System in the Tibet Plateau.